The Santa Fe Film Festival is here! So many movies, so little time! On today’s show we feature three films, but there are so many more to see (check out santafefilmfestival.com) The Santa Fe Film Festival runs Feb. 13-17, and features dozens of films, including films by and about women, New Mexican films, Afro-Cinema, Latin, Native, and LGBTQ cinema. Tom Donahue’s brilliant documentary, This Changes Everything, is about gender inequity in Hollywood. 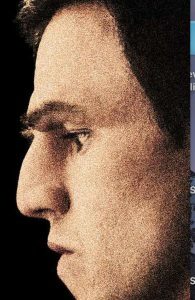 Tim Disney talks about his film, William, which explores the cloning of Neanderthal DNA and the resulting young man trying to make his way in a world where he’s different. 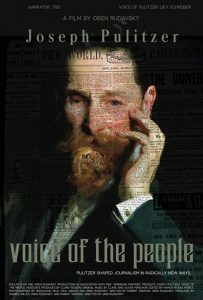 And biographer James McGrath Morris talks about director Oren Rudavsky’s documentary film, Joseph Pulitzer: The Voice Of The People.